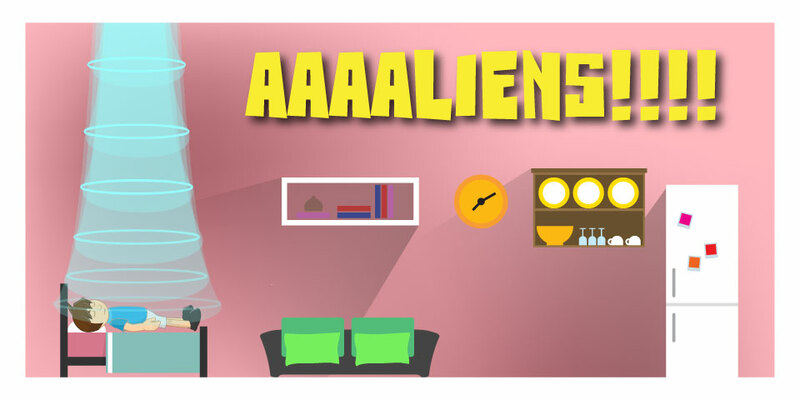 YOU’RE AN ALIEN!, your mission is to abduct humans from their homes. But the humans have built complex houses and your job is to quietly avoid the furnitures and walls as you beam them up to your spaceship without waking them up. Tilt your phone to control the beam, move steadily and navigate around the maze the humans call home. Collect clocks and balloons along the way to help you in your mission.